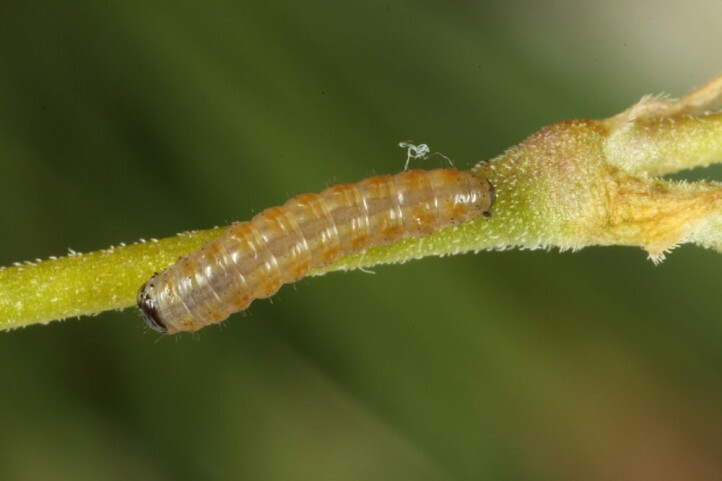 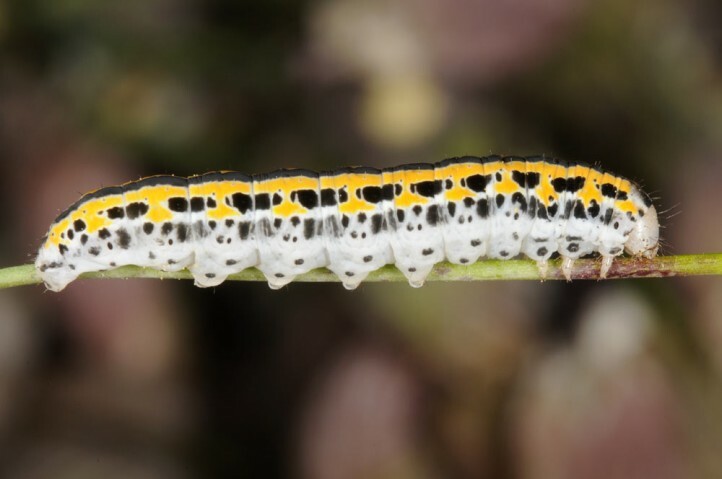 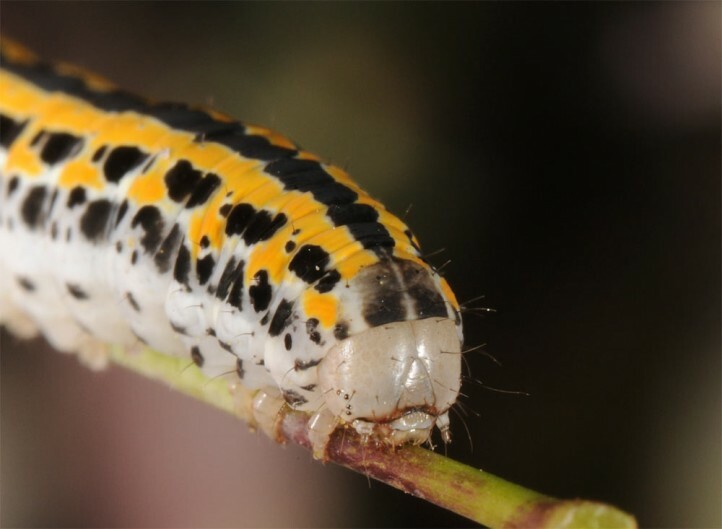 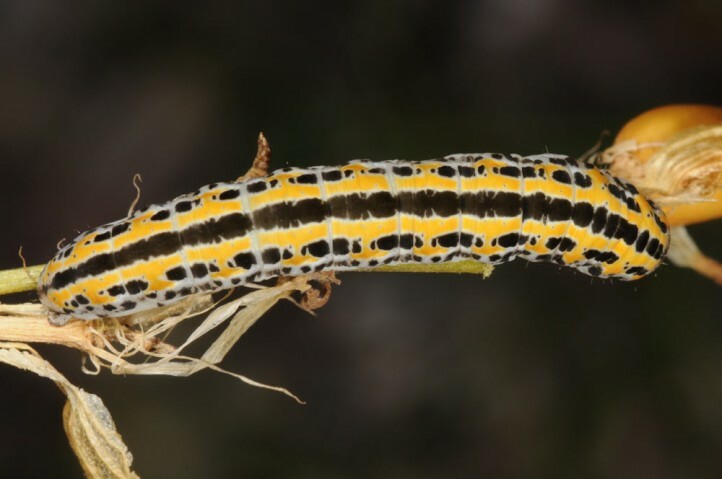 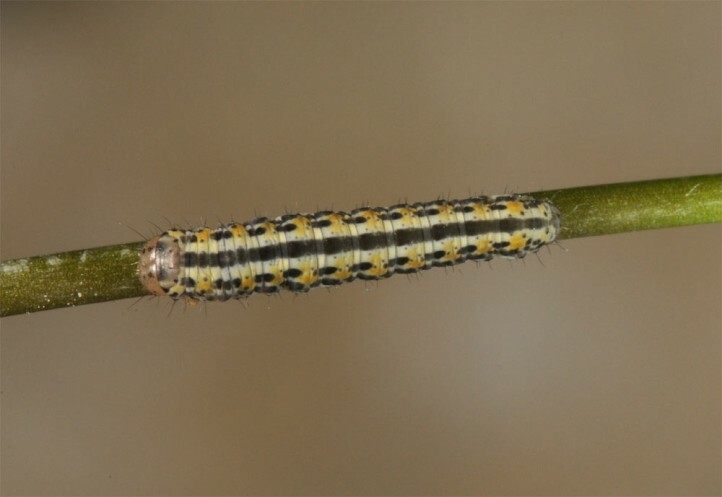 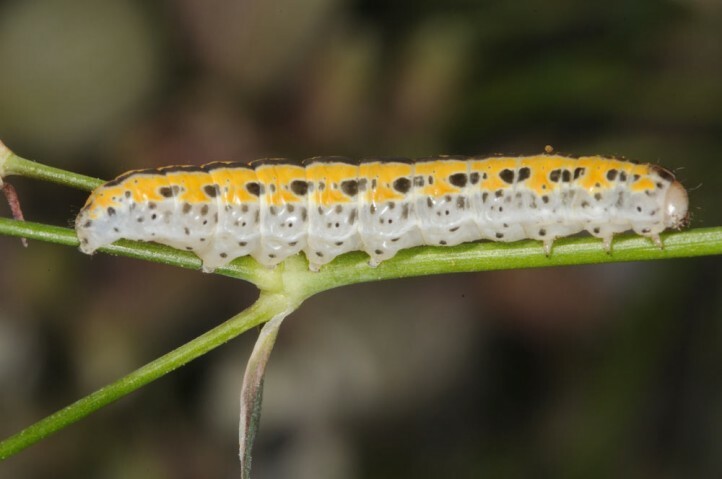 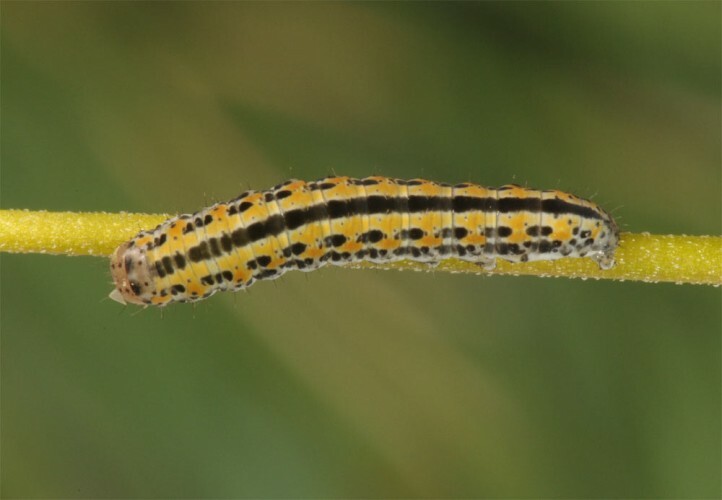 The larvae feed on Silene species. 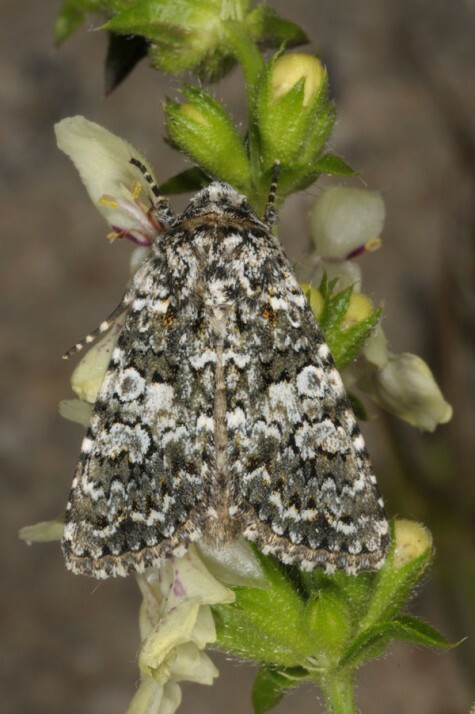 I recorded them in eastern Spain on Silene legionensis. 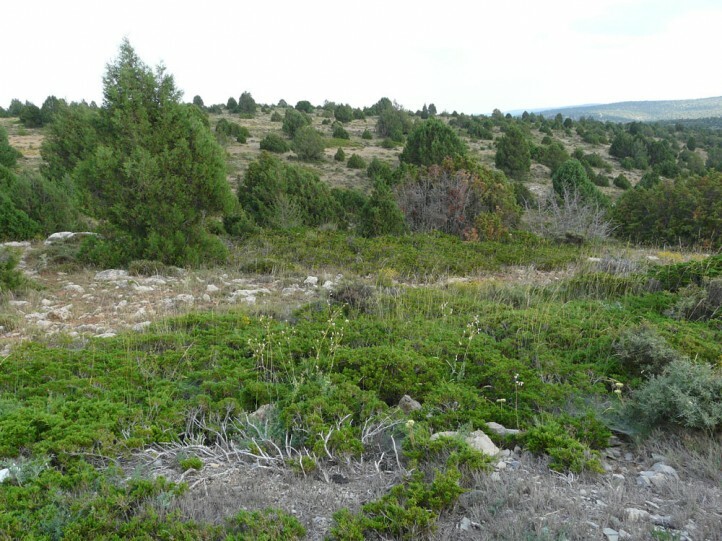 Hadena consparcatoides inhabits mosty dry and warm grazed slopes with bushes in medium-high altitudes (most often 1000-2000m asl). 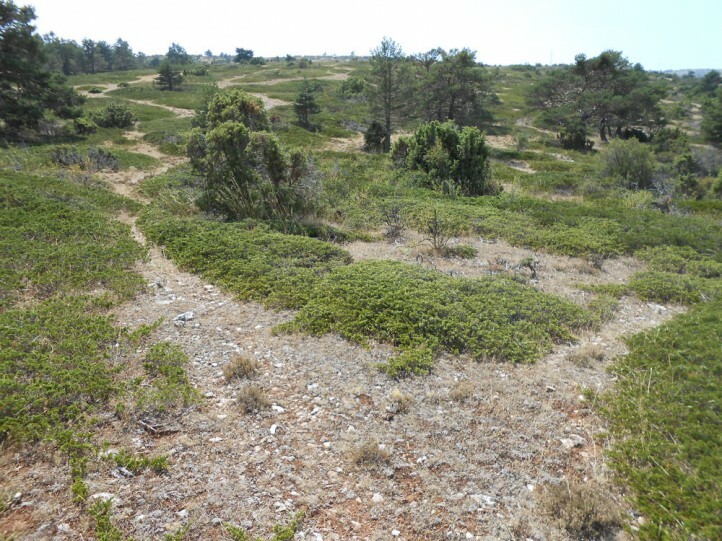 The host plants grow especially at the margin of low creeping Juniperus shrubs that were common at all sites. 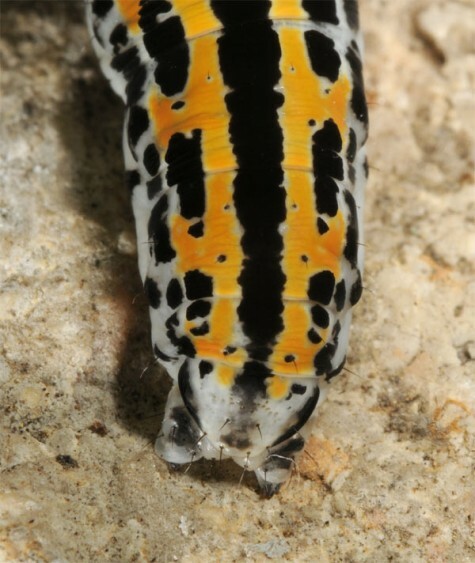 Contrary to Hadena clara this species is not necessarily linked with rocks. 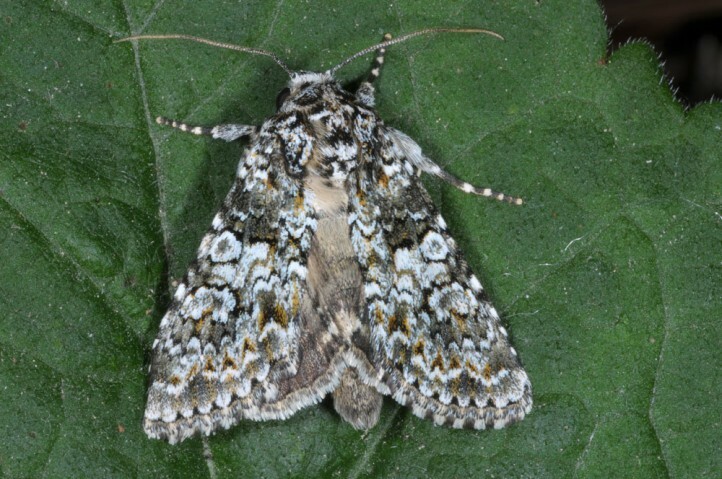 The main flight period should be in June and July. 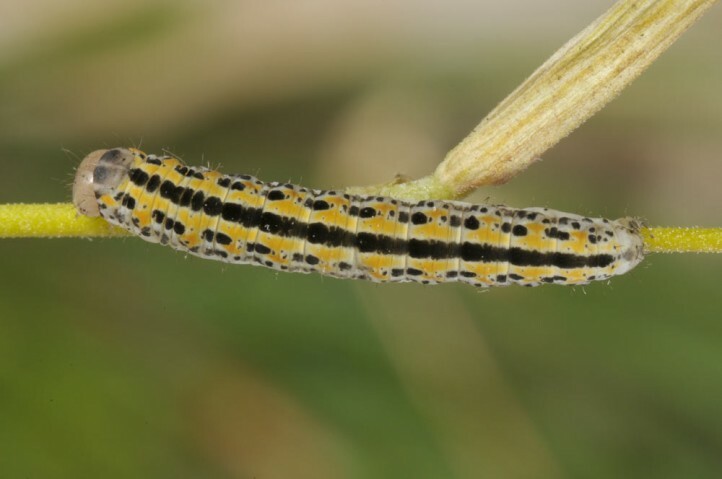 But according to larval records there is a partial second generation between late July and September. 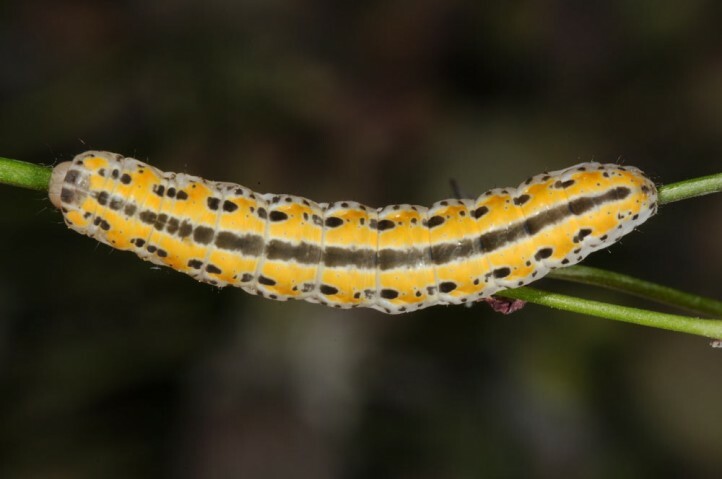 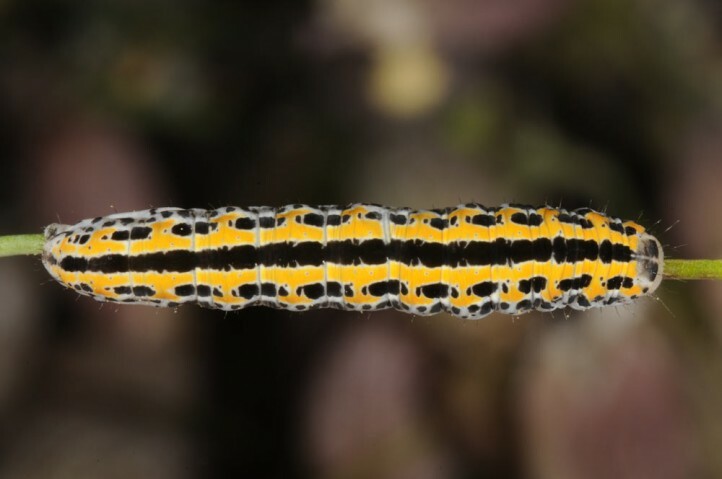 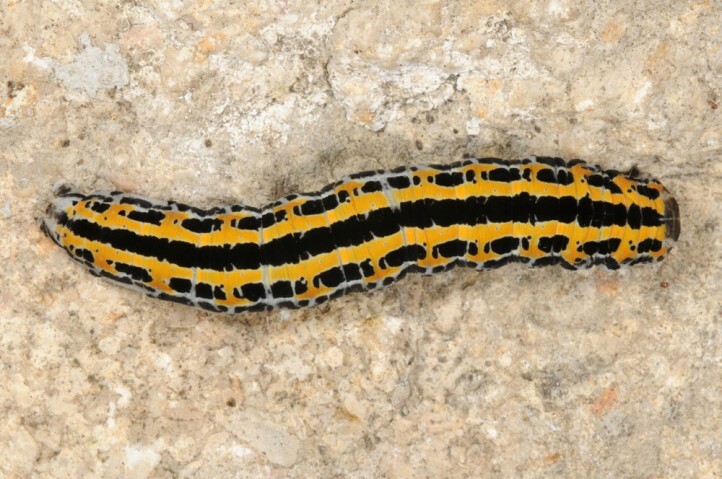 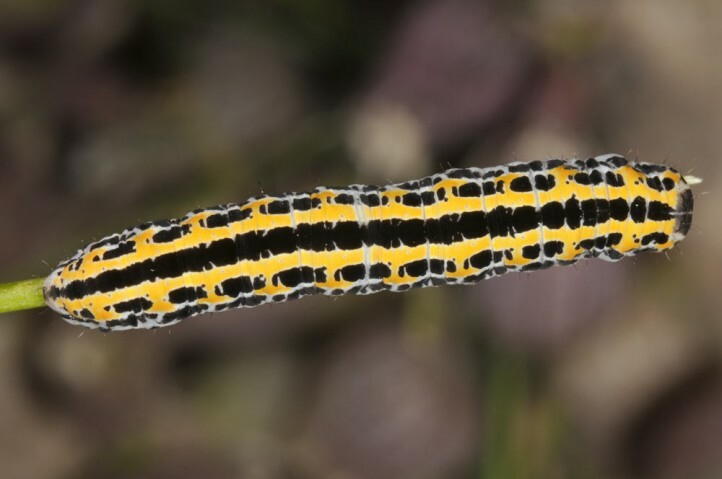 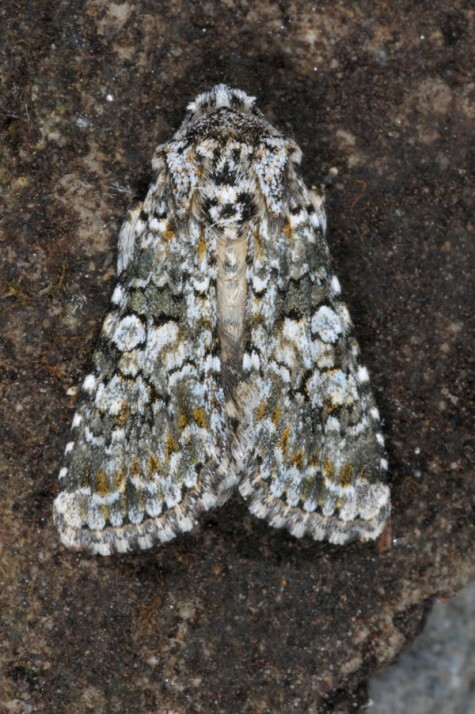 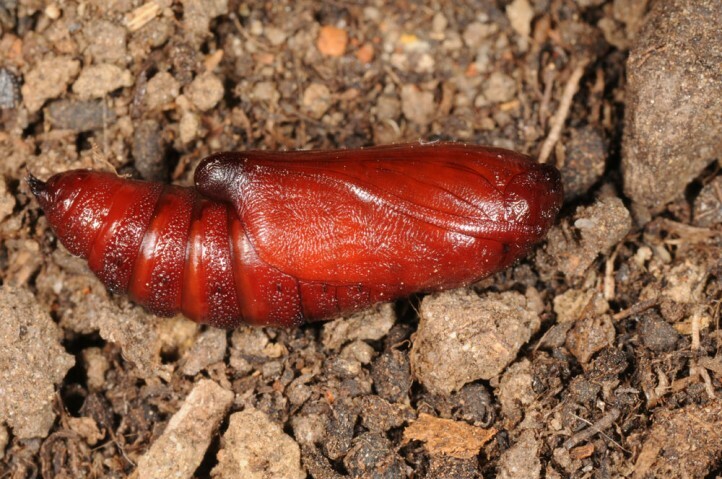 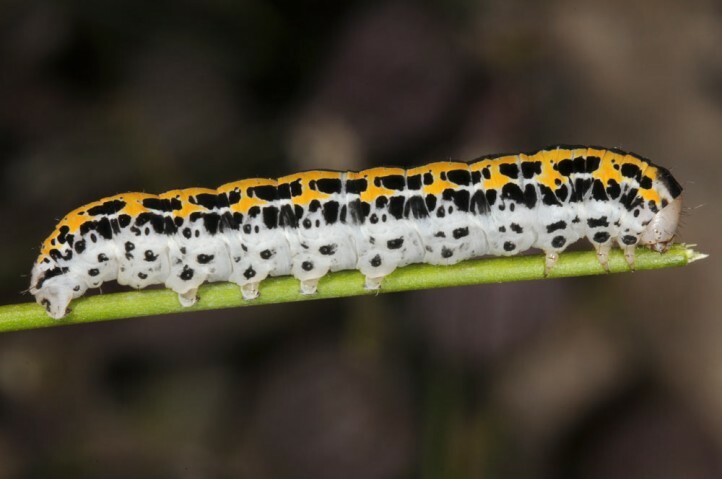 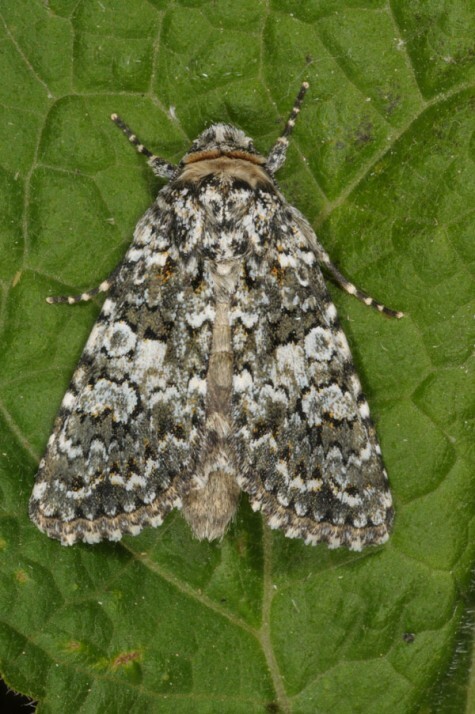 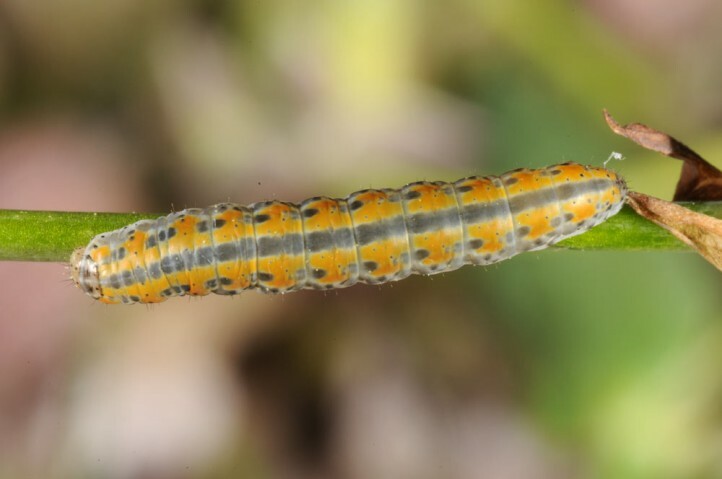 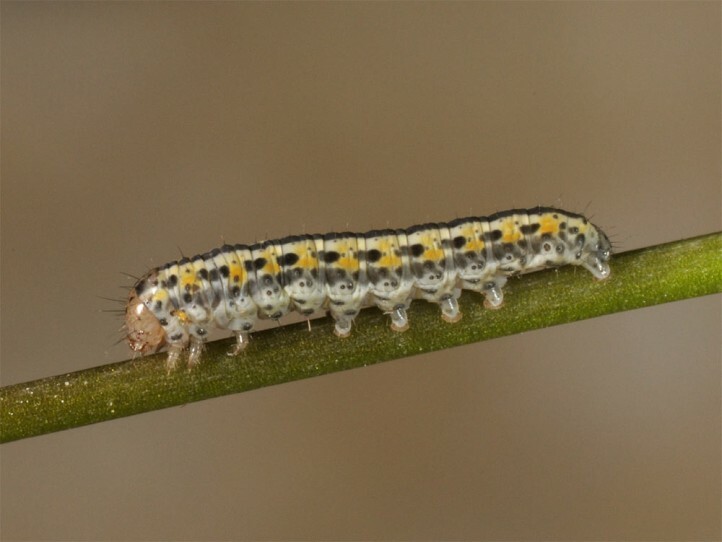 The larval time is presumably between June and early October. 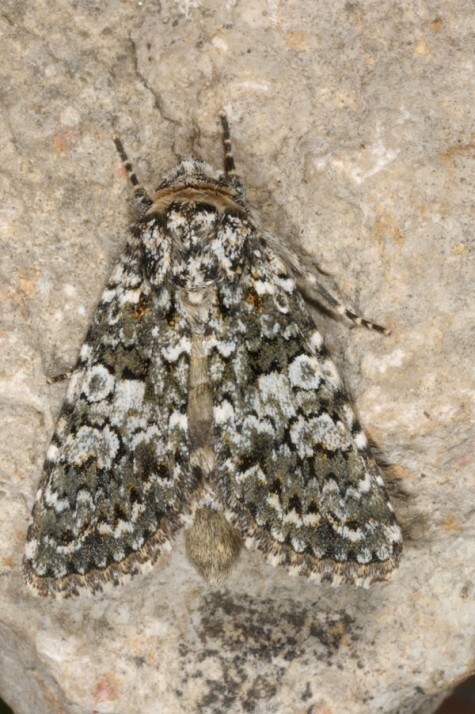 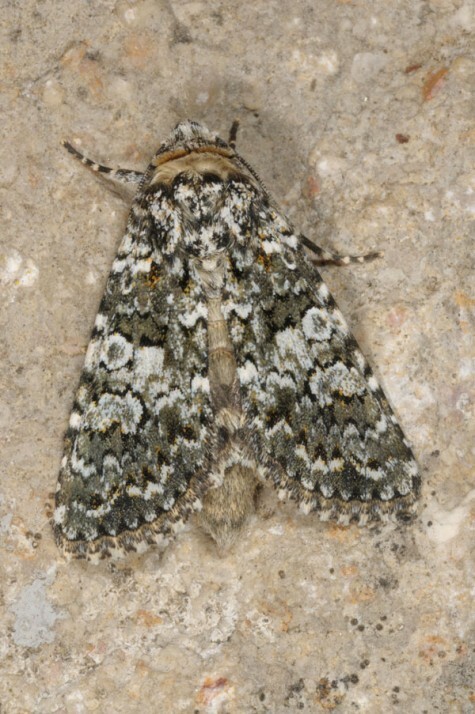 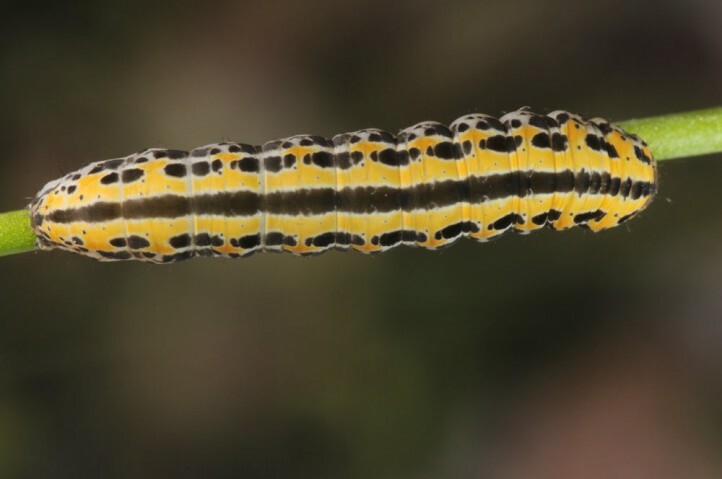 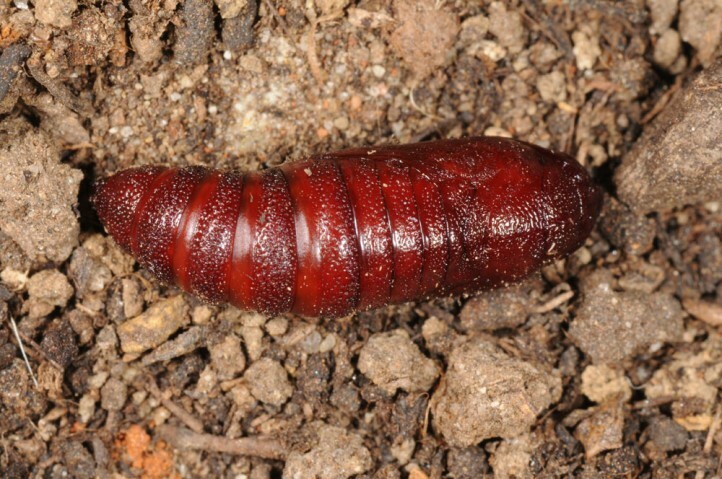 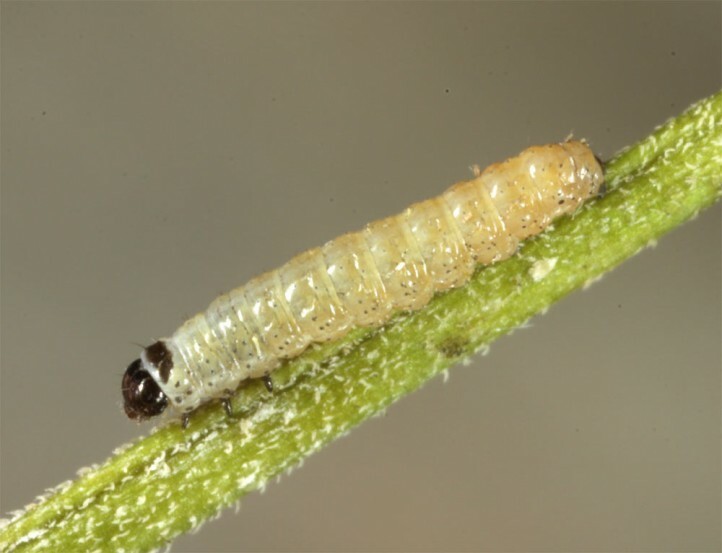 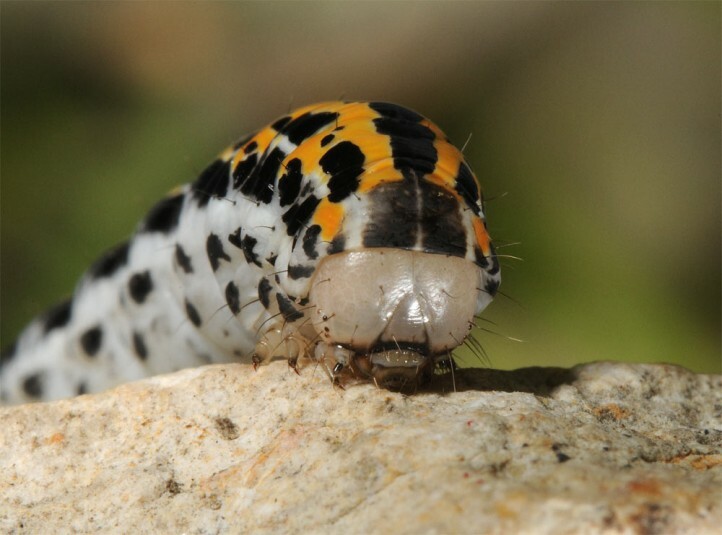 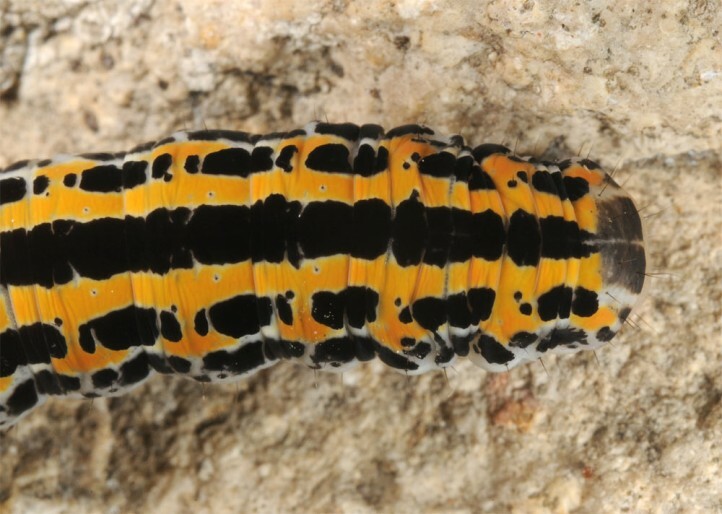 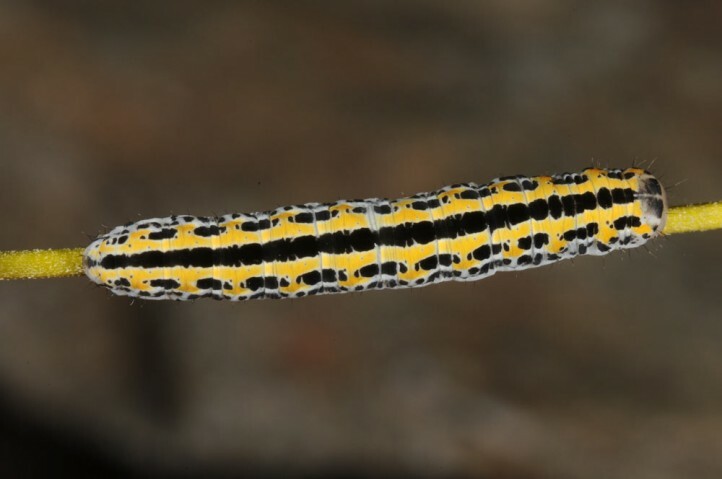 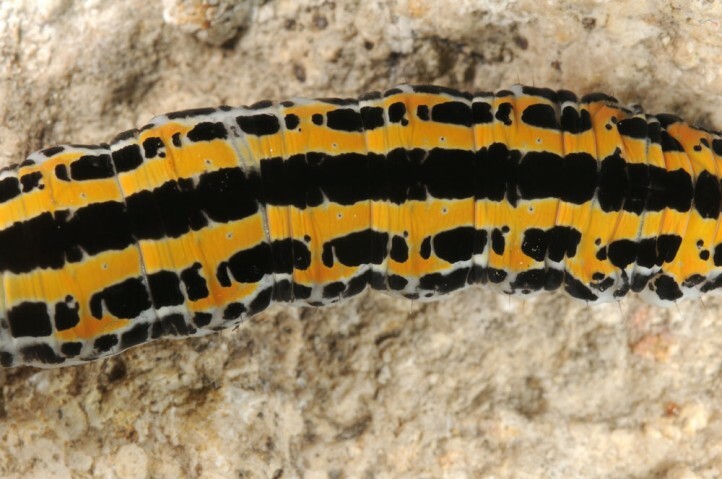 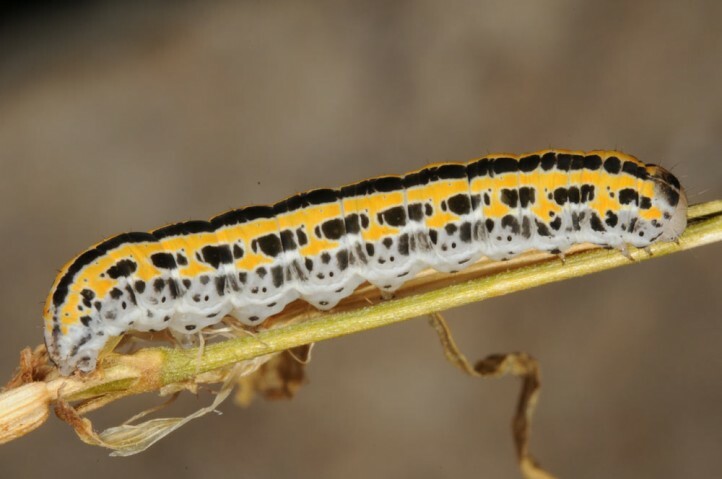 I recorded the young larvae near Teruel especially between 1500 and 1800m asl in late August 2013. 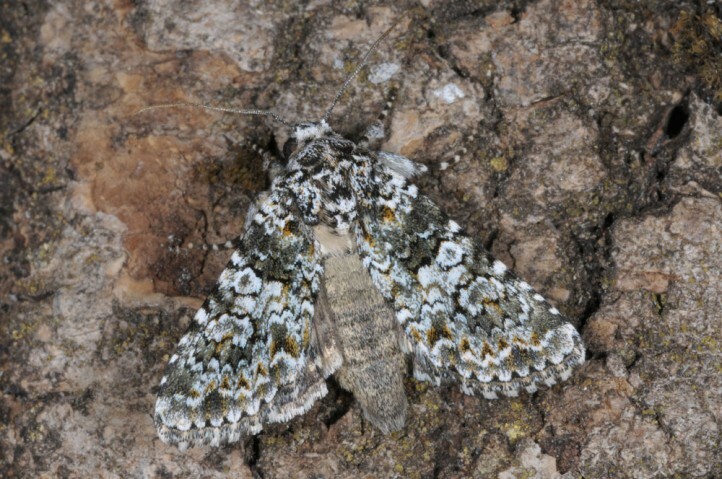 At this time most Silene already had dried up. 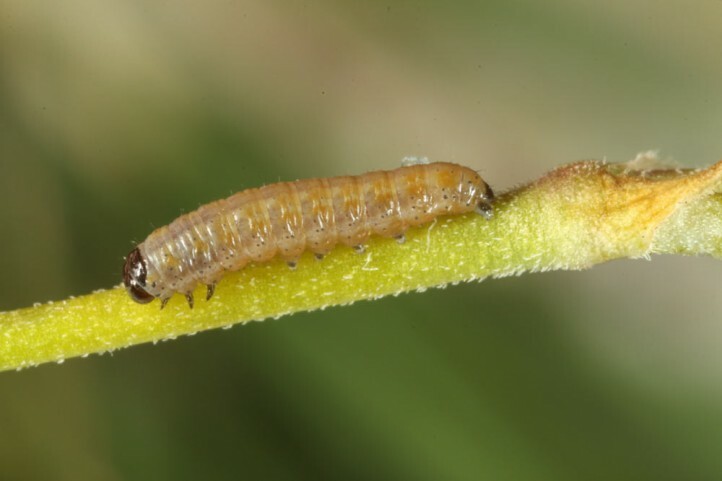 I hardly found some flowering plants which mostly had been grazed before, but these few showed a quite high larval density. 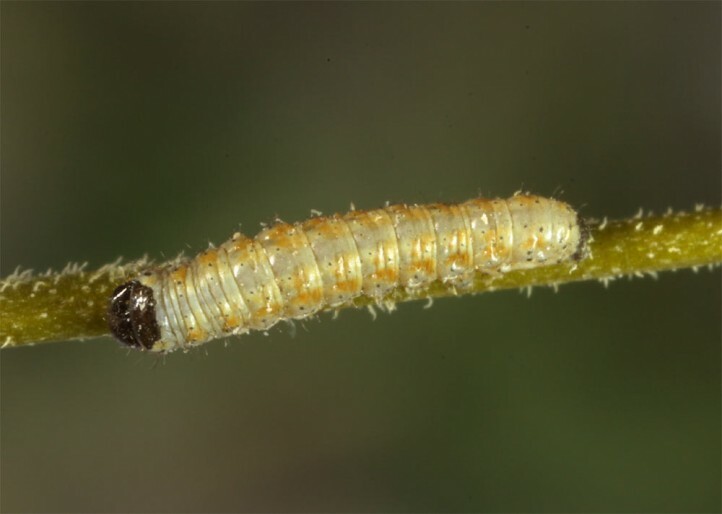 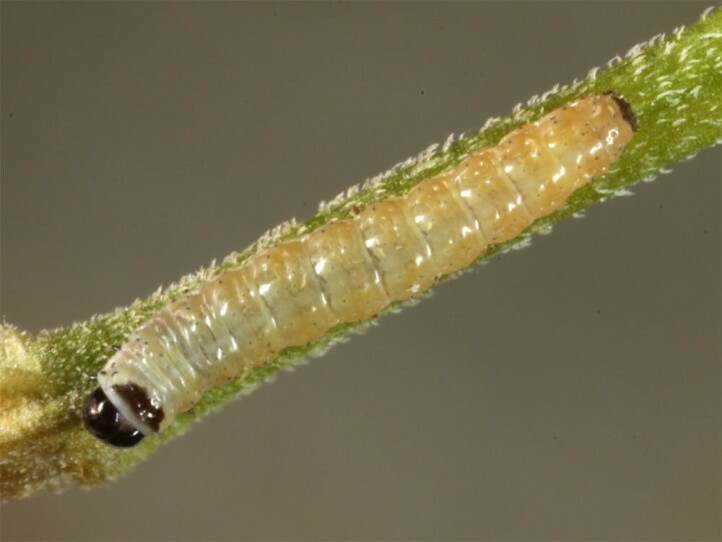 The young larvae live within the capsules as usual with Hadena and the older ones hide away on the ground during day time. 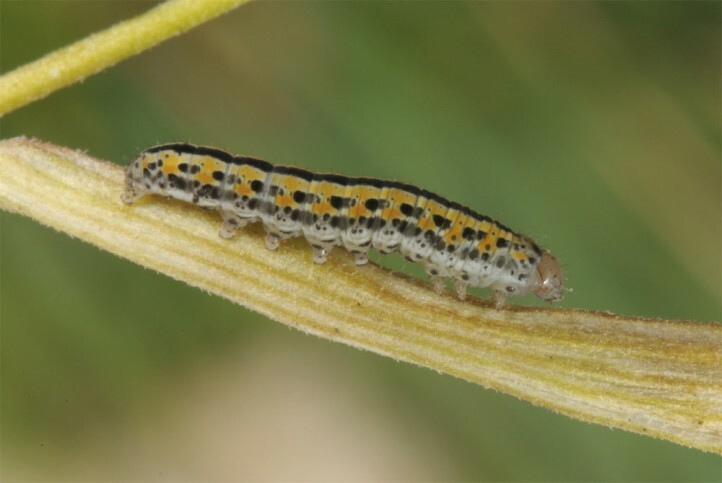 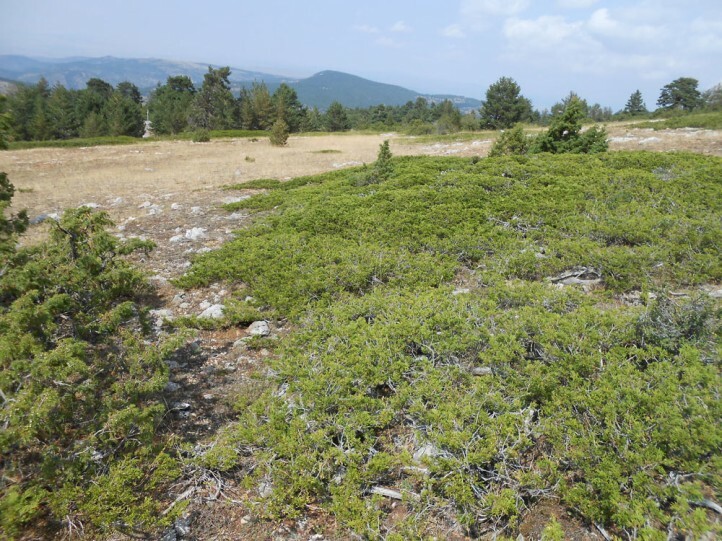 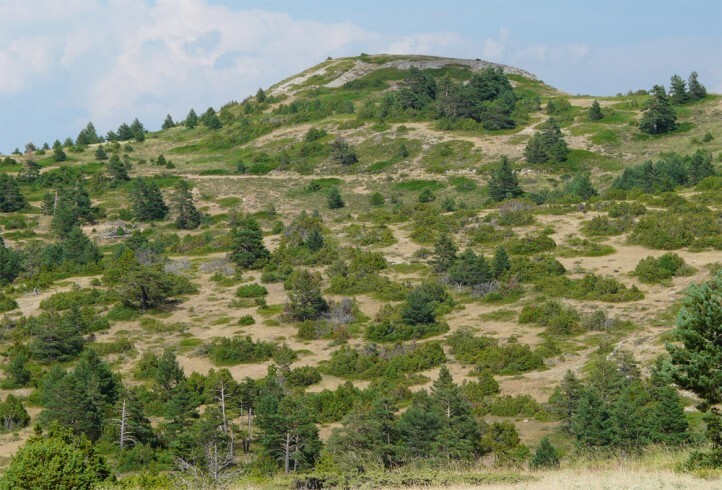 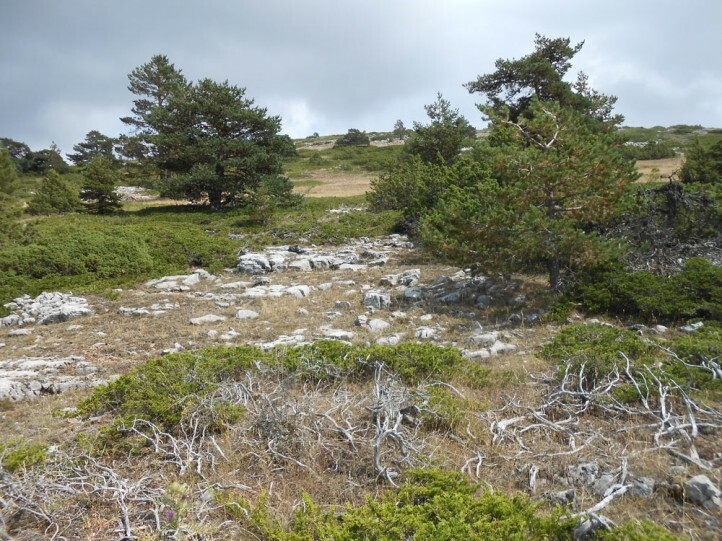 Hadena consparcatoides depends on the large-scale protection and maintenance of the hot and dry mountain pastures on the Iberian Peninsula which are also outstanding habitats for many other species! 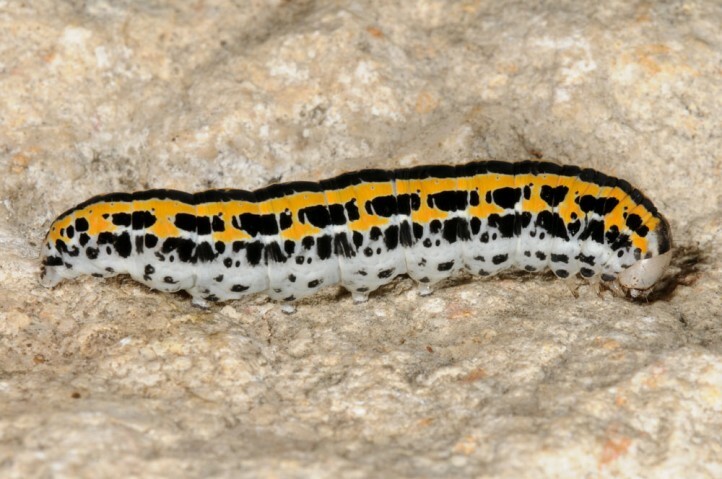 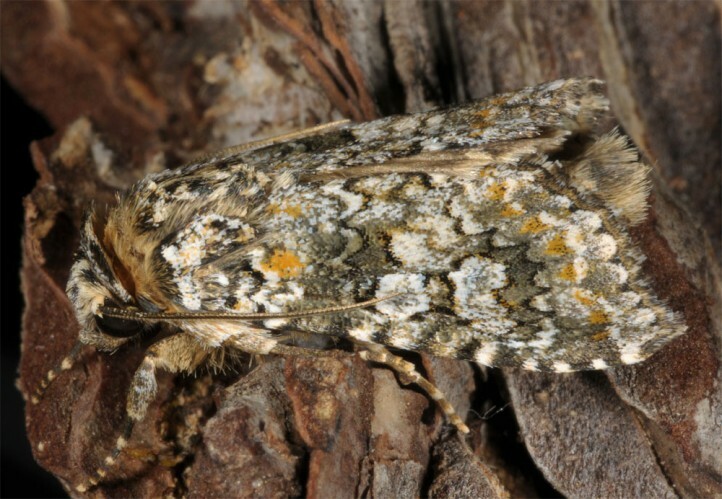 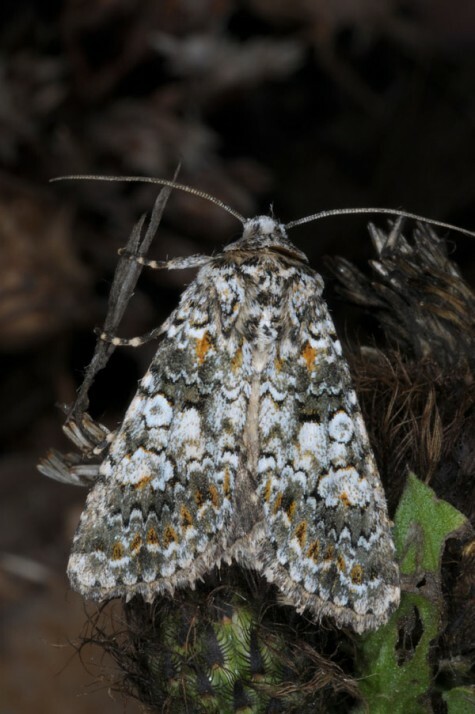 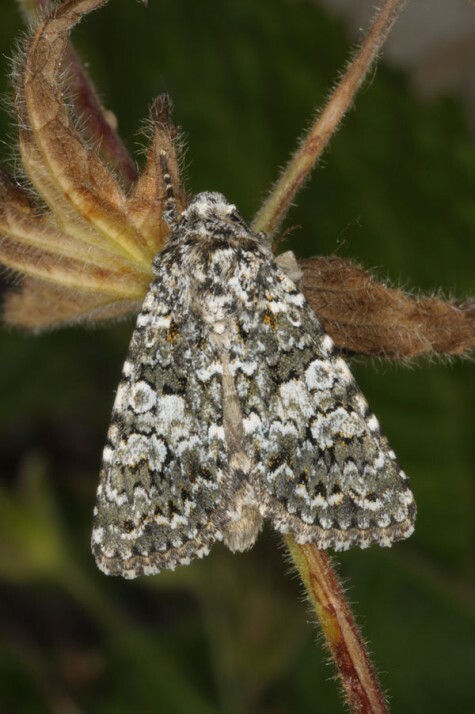 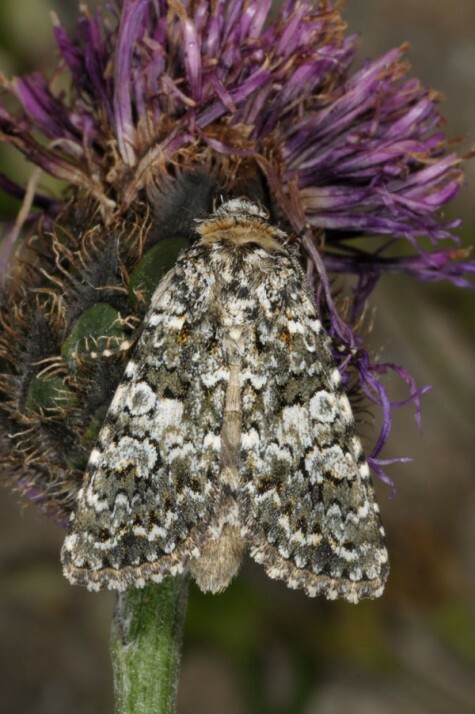 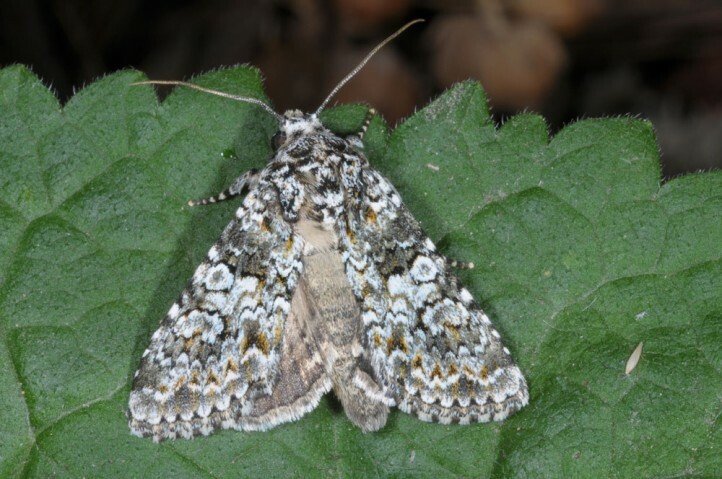 Hadena consparcatoides occurs mainly in the Spanish mountain ranges and is additionally found only rarely and locally in the French Pyrenees.